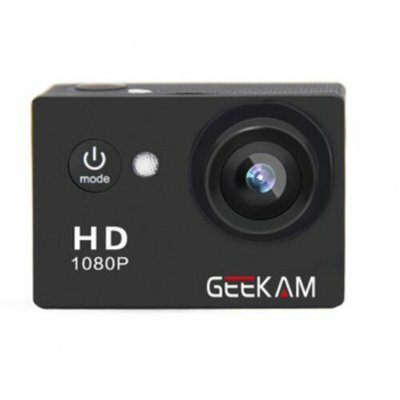 Successfully Added GEEKAM A9 Waterproof Mini Camera HD 1080P Action Sport Camcorder Outdoor 2" Screen Recorder DV Black to your Shopping Cart. Special under water design with mini portable size, easy to carry anywhere. Recording format: 1080P 15 frames/720P 30 frames. Pixel range is 5M/3M/2M@JPEG, + Sensor GC1024, splashproof.